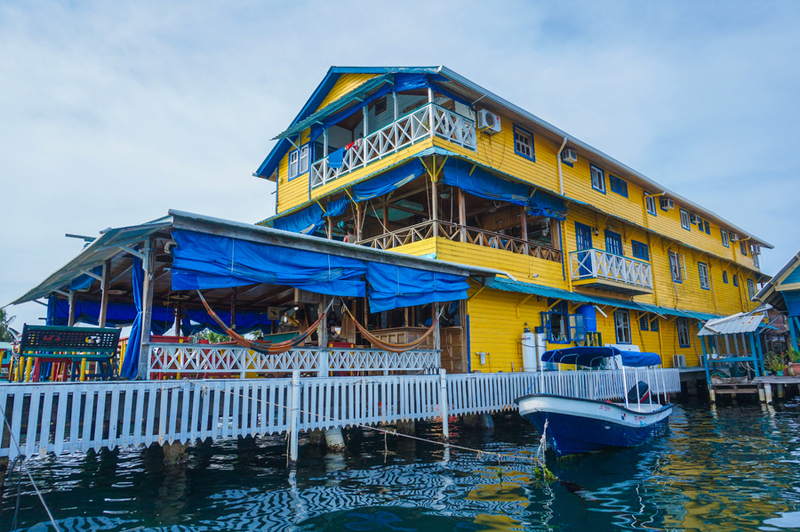 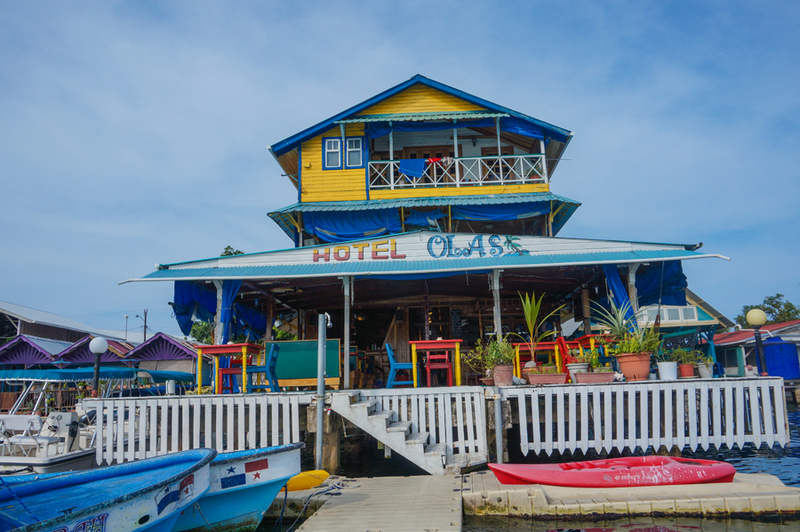 Las Olas, or “the waves” in English , is a beautiful Caribbean 3 story hotel which is located right over the ocean, on the southwestern tip of Isla Colon, the main Island of Bocas del Toro. 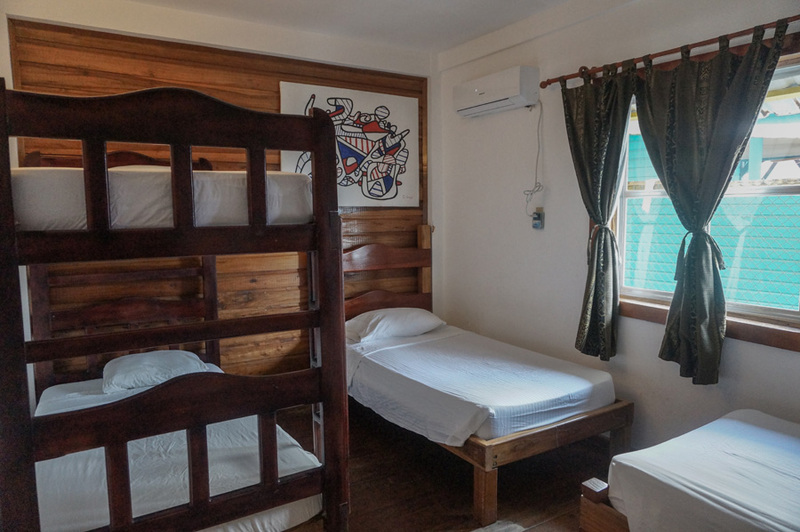 Las Olas offers 25 private air-conditioned rooms with free Wi-Fi, cable TV and private bathrooms with hot water, as well as breathtaking views over the turquoise waters of the archipelago. 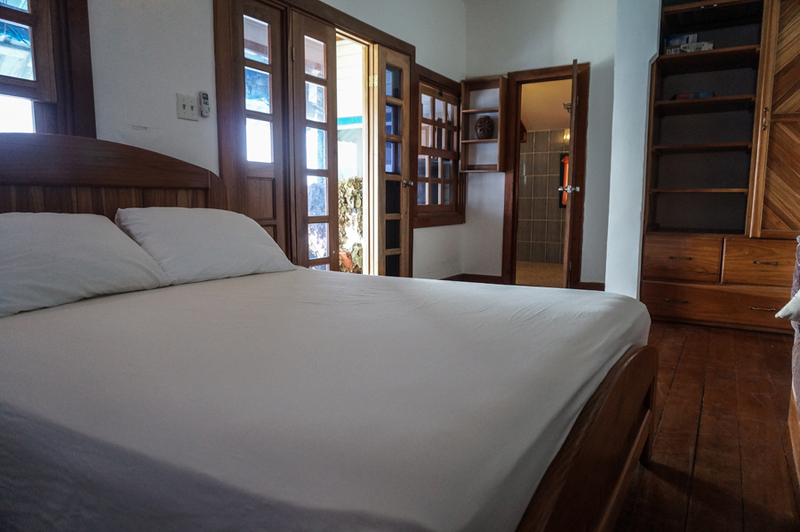 Hotel Las Olas features double, triple, and quadruple rooms as well as a presidential suite overlooking the ocean, ideal for individual guests, couples and families, and also has the capacity to welcome large groups traveling together. 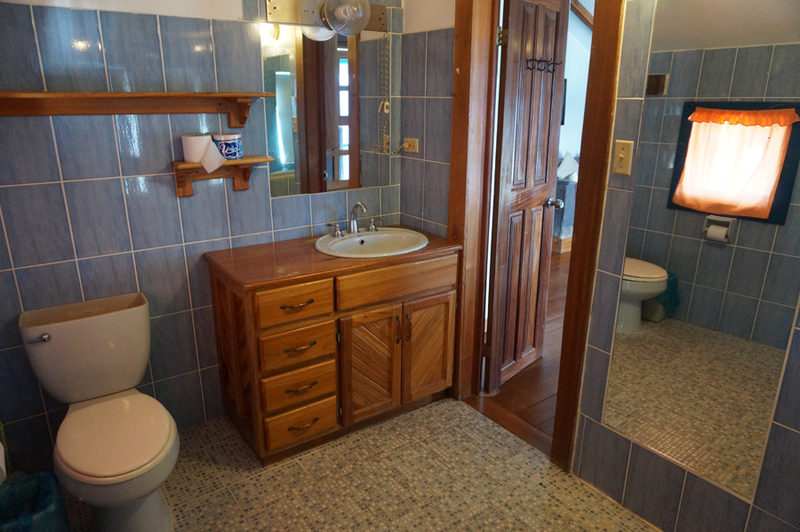 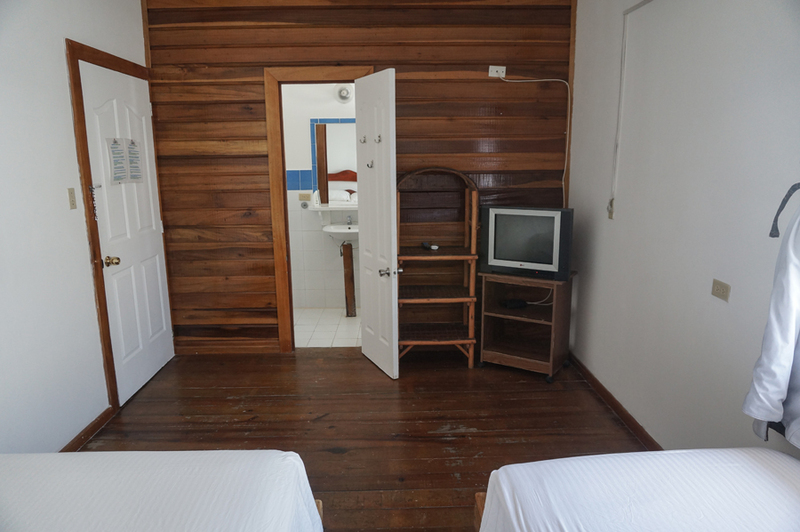 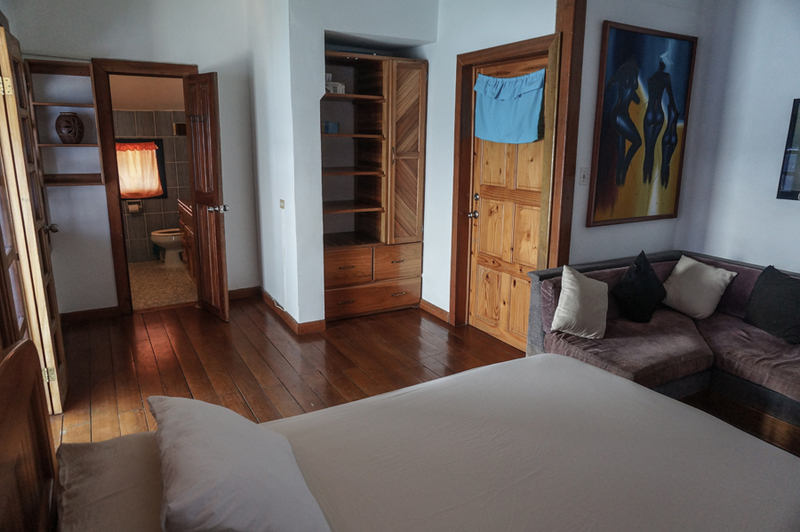 All the rooms are decorated according to the traditional Caribbean style with polished wood and bright colours. 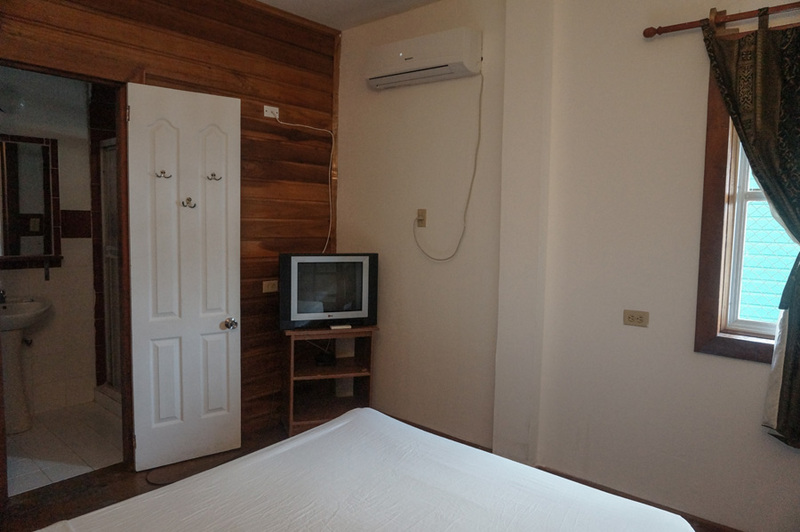 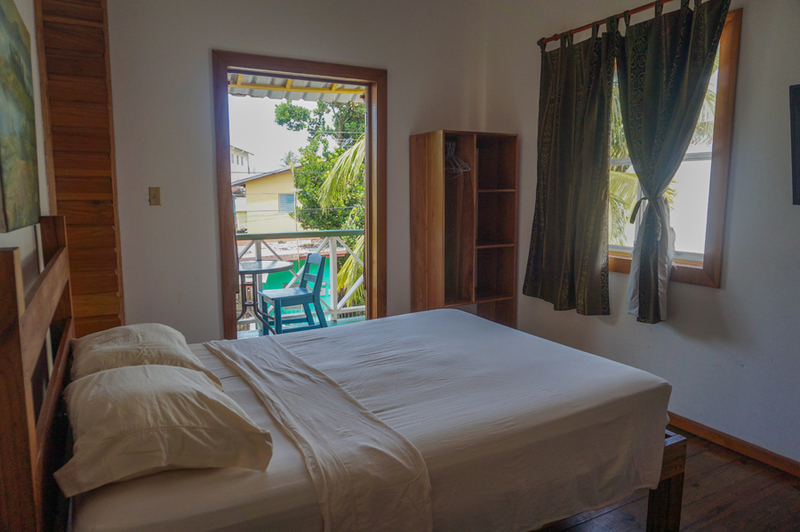 Some of the rooms on the second and third floors have cute little balconies overlooking the ocean or Bocas Town, where you can just sit and relax, breathe some fresh air, read a book, listen to music, and take in the tropical atmosphere. 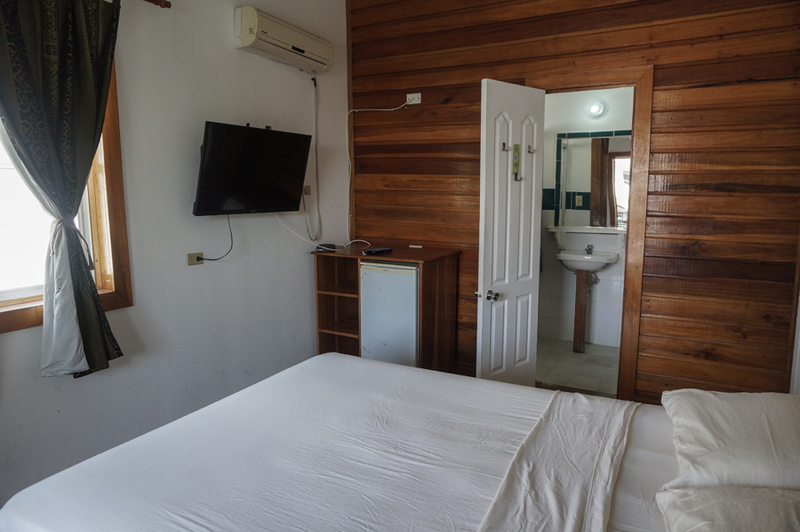 Its central location makes it the perfect spot if you intend to go restaurant or bar hopping, and all the shops and supermarkets are just a few minutes away. 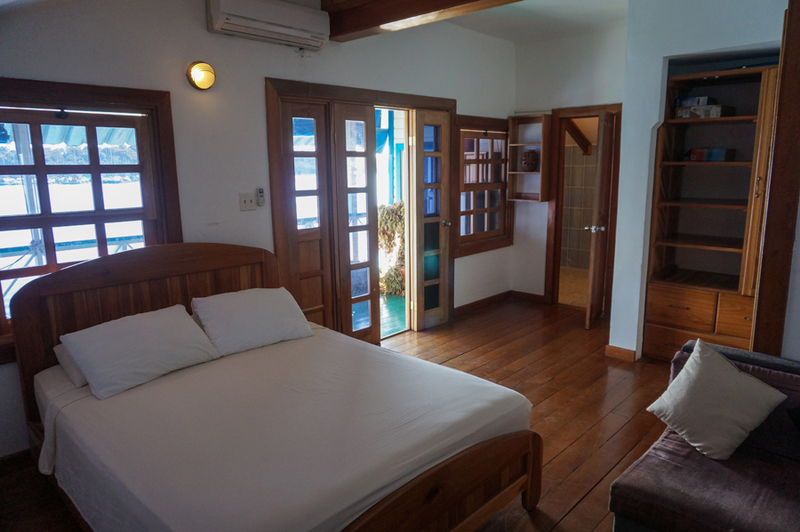 In the morning, you’ll be able to enjoy your complimentary breakfast while admiring the ocean on the large open lounge deck downstairs. 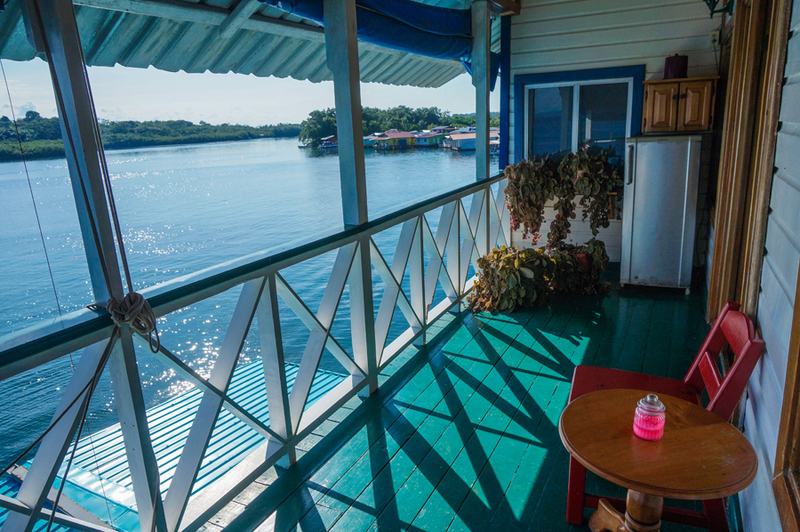 Your day couldn’t start any better than with a delicious cup of coffee over the water. 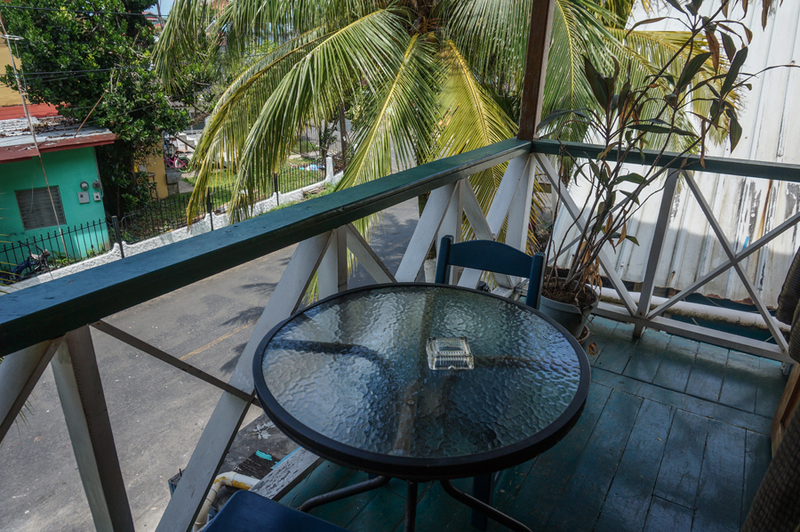 Sunsets are amazing to watch from this spot also, and since Las Olas has its own little bar, you can’t miss watching the sun go down while enjoying an ice cold beer. 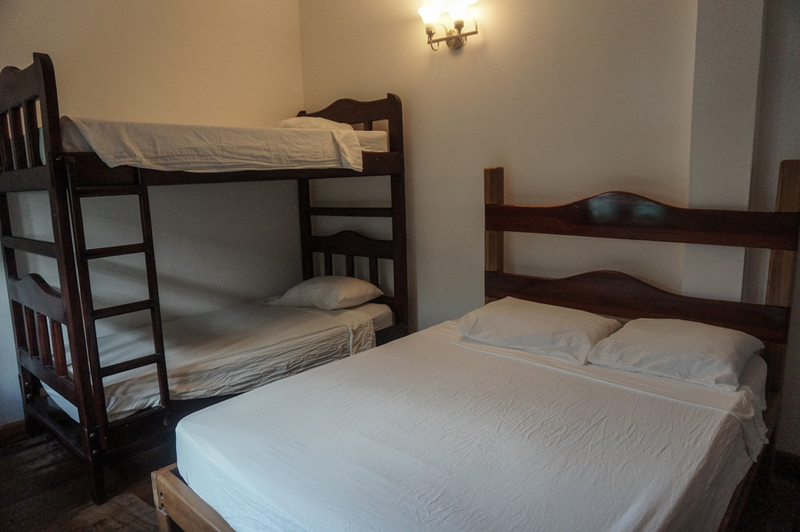 Breakfast is served from 7.00 am to 11.00 am. 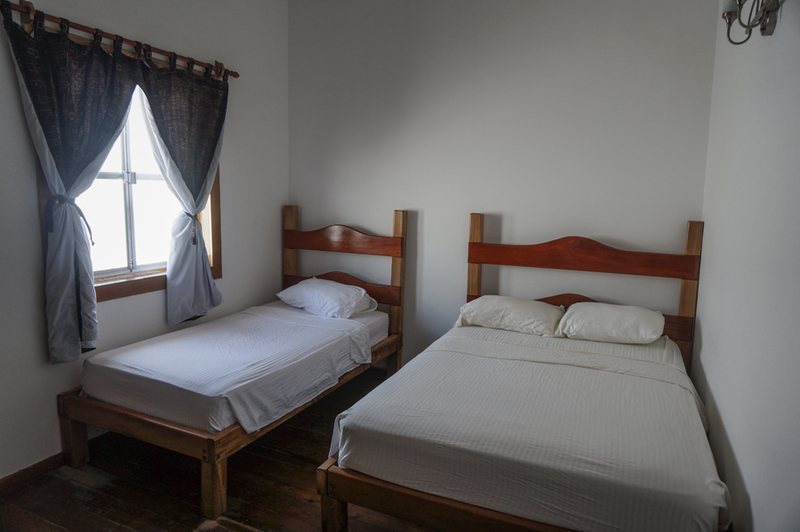 You will be able to choose between several breakfast options according to your liking, but we highly recommend you to try their Shakshuka, an Israeli dish which is known to be the specialty at Hotel Las Olas. 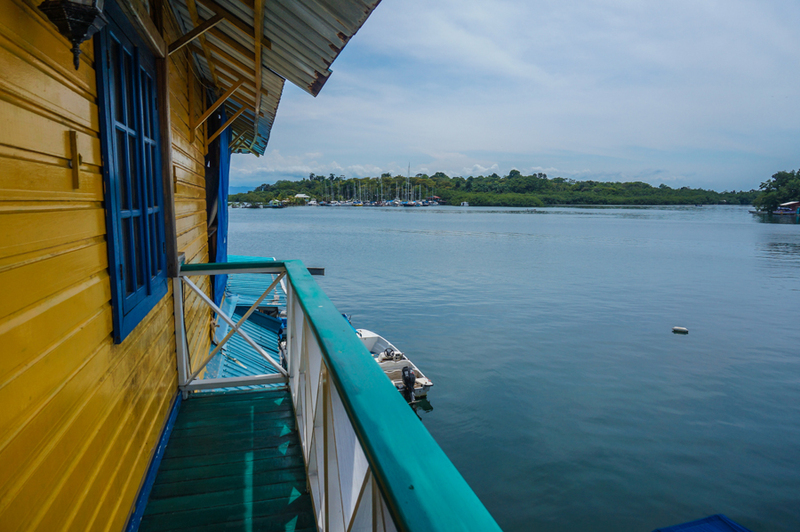 If you are wondering what to do during the day in Bocas del Toro, just ask the front desk staff. 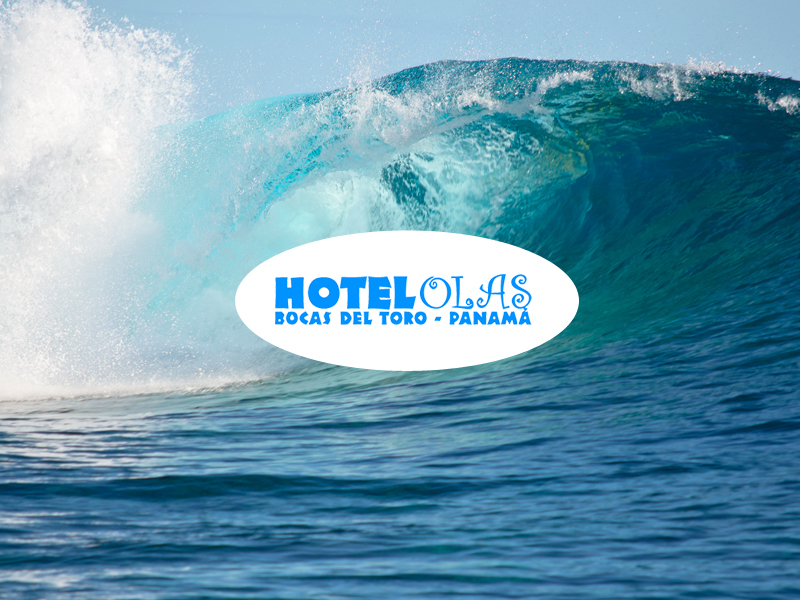 Las Olas have their own internal tour operator, and will arrange activities for you such as boat tours to the many famous snorkel spots and beaches, as well as surf tours, ATV rentals and ATV expeditions to Boca del Drago and Bluff beach. 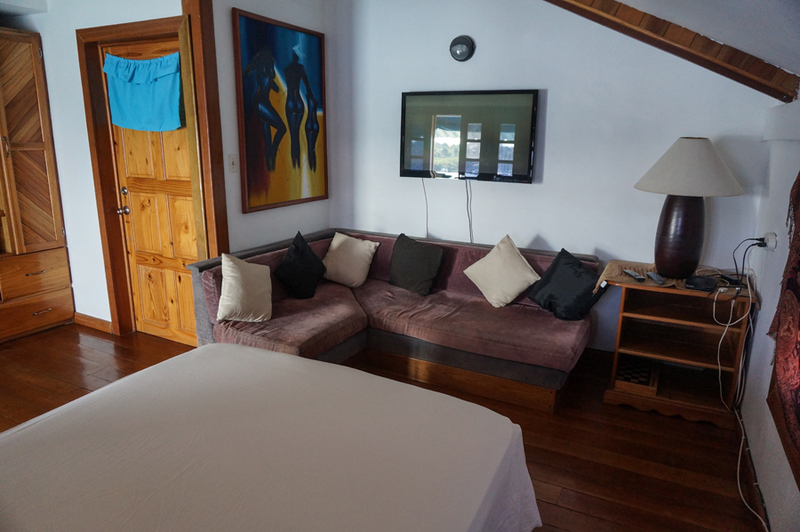 The hotel also has kayaks, bicycles and surfboards available for rent if you prefer to explore the island on your own.